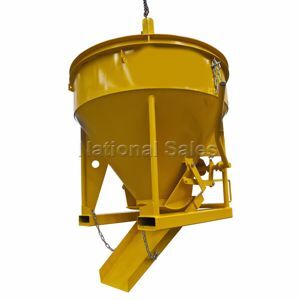 One and a half cubic metre capacity concrete kibble for use with crane. 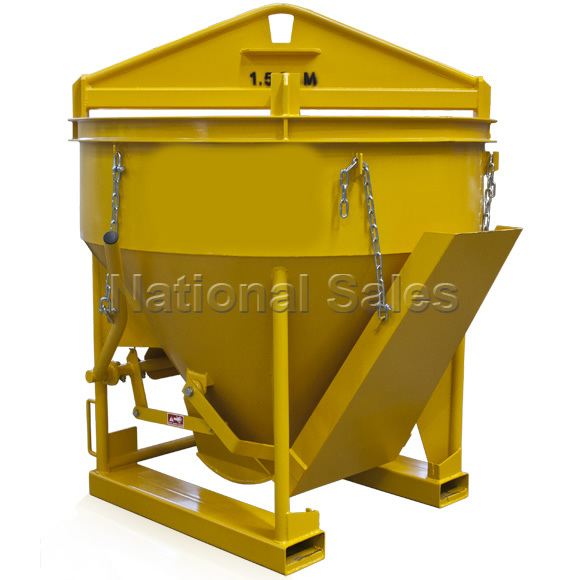 Kibble comes painted in safety yellow and is fitted with fork tyne pockets for easy handling on the ground. 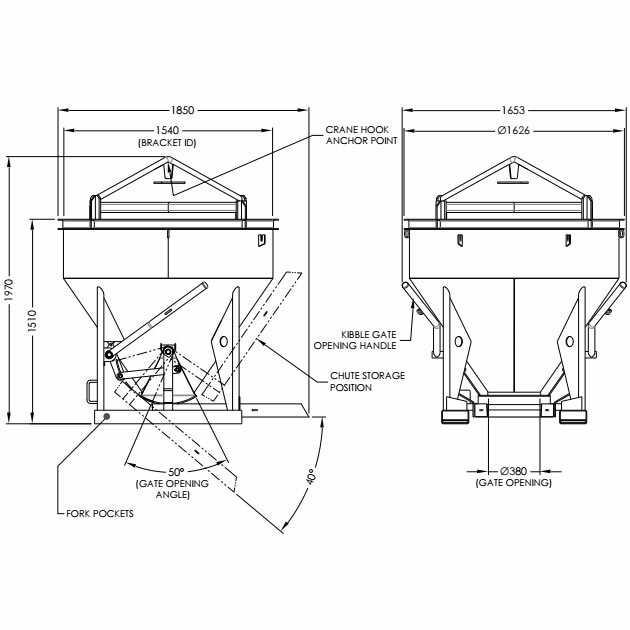 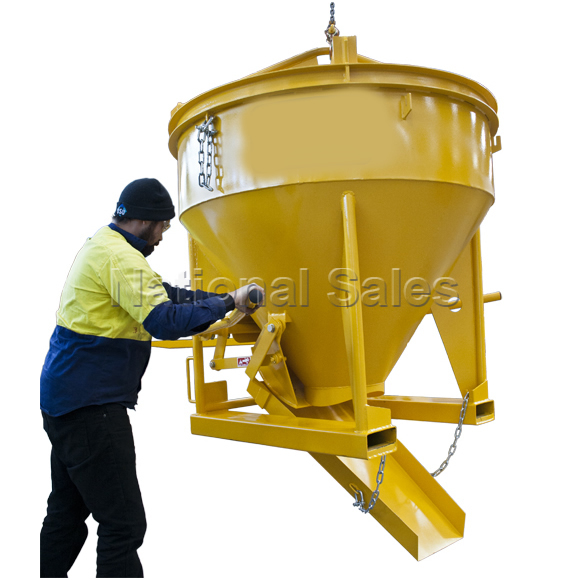 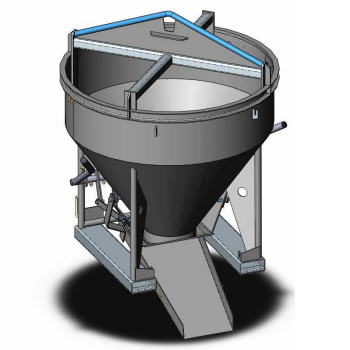 Concrete kibbles can be operated from either side with lever for flexible operations.